I AM just reading the October issue of Rail Express and I see on page 29 (Express Mailbag) there is a picture of some redundant bogie tanks being used as fuel storage at a motorway services. This is actually taken at the J38 Tebay Truckstop, not the nearby Westmorland motorway services, which is about a mile to the north. 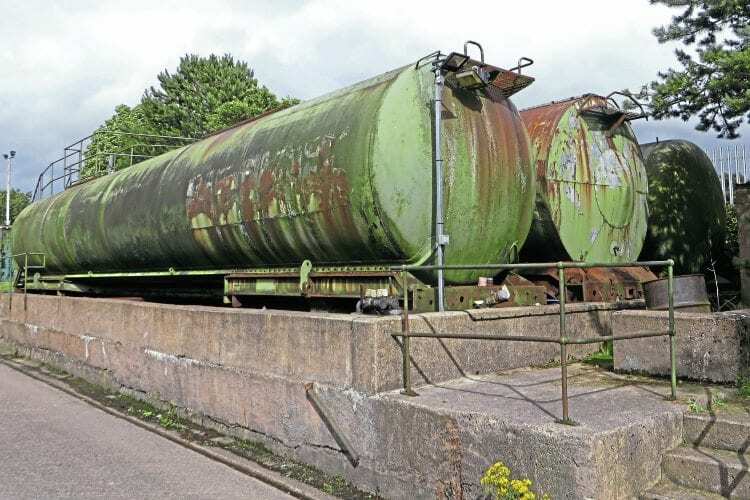 In my job as a lorry driver, I saw these tanks in situ in 1995, so they have been there at least 21 years. The middle one looks as though it is lagged, maybe for bitumen use in its former life.